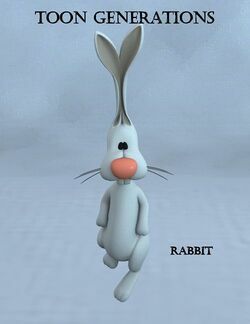 Toon Generations Rabbit is a toon animal prop, created by 3D Universe. It conforms to the right hand of the Toon Generations base figures. This is not the same product as the paid figure "Toon Rabbit for Poser". This page was last edited on 4 July 2018, at 21:48.